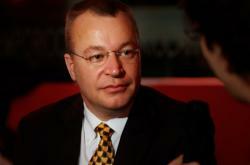 Nokia CEO Memo on Their "Burning Platform"
Engadget publishes a memo written by Nokia CEO Stephen Elop and posted to the company's employees about the fragile state of their business. The memo is surprisingly candid about the challenges Nokia faces with increased competition from the Apple iPhone and Google's Android. He compares Nokia's current situation to a man standing on a burning platform where the only choice is to shift from expected behavior and "jump". Elop acknowledges that even though the original iPhone launched in 2007, Nokia does not yet have a product that is close to that experience. While they have been working to innovate, they fell behind and missed big trends. Nokia plans on launching a new strategy on February 11th. Many are speculating that they may join an existing platform such as Windows 7 rather than continuing on their own. The whole memo is a very interesting read on the disruptive nature of the iPhone on one of the major mobile phone manufacturers.